Tok Sen means “take off energy lines” in Thai; in other words, it is a technique to clear blocked energy from the energy channels in the body. It uses mechanical and sound vibration, working deeply through the fascia and muscles. This unique healing modality is found only in the Chiang Mai area of northern Thailand. It is thought to date back more than five thousand years and developed in Thailand while acupuncture developed in China. It is an energetic healing modality and is still practiced in the country areas. Tok Sen helps to improve energy flow and relieves aching muscles. By tapping the body using traditional Tok Sen tools--a wooden “hammer” and variety of “pestles”--vibrations are sent through the nerves, muscles, and fascia to treat muscle and tendon pain. A light “hammering” with varying degrees of contact is applied to the different regions of the body. Of course, the tools are never applied in a violent or rough manner. The vibrations created by the gentle hammering repair and rejuvenate the tendons and muscles, making them feel more alive. Just a few of the advantages of this ancient Thai/Chinese treatment are increased circulation, relief from stiff and tight muscles, and improvement of nerve functions. In addition, many maladies that decrease the quality of life can be improved with Tok Sen. The main function of this treatment relates to the tendons and specifically to the muscle-tendon meridians. The vibration of the tendons, when done correctly, loosens both the tendons and the muscles. This also improves the blood circulation. Treatment of the entire body is one of the best forms of maintenance. This has been established through centuries of application. Indeed, maintenance with Tok Sen therapy has a positive influence on virtually every part and function of the body as listed below. 1. Increases blood circulation. Better circulation nourishes tendons and releases blocked energy more quickly. 2. Relaxes muscles. Tight muscles will squeeze capillaries, which decreases blood circulation to muscles and causes muscle soreness. 3. Stimulates peripheral nerves. These nerves run parallel with capillaries. Every time we hammer, the vibration will affect capillaries and peripheral nerves, which can stimulate muscles as well. In addition to unblocking the chi meridians, Tok Sen treatment facilitates the release of tension by addressing armored tendons and muscles. Hammering on the meridians assists in relieving pain and discomfort. This is especially true if a person has stored a lot of stress and created a hard or armored shell on the tendons and muscles. Via palpation, the knowledgeable Tok Sen practitioner is able to sense energy blockages in any part of the body. 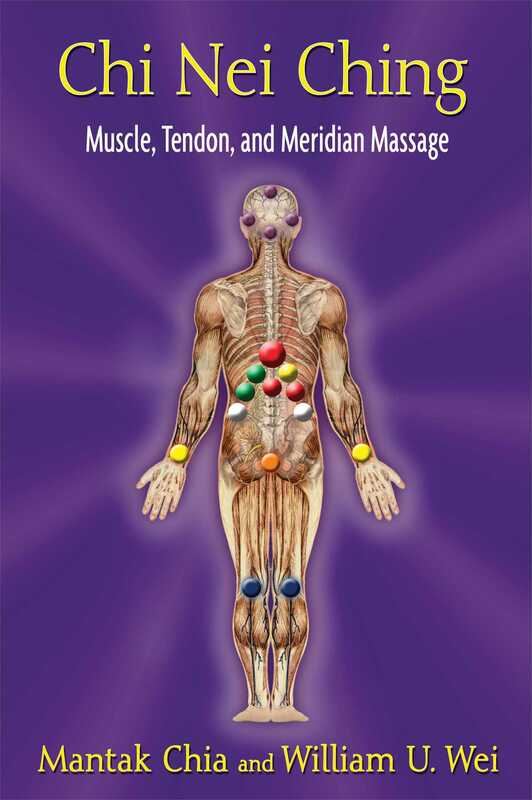 The healing sound vibrations created by the tapping of the Tok Sen tools work deeply into the fascia and muscles. Among the many advantages of Tok Sen treatment is the fact that some muscles are too big or too deep for the fingers to reach. Tok Sen, on the other hand, can penetrate to those regions. The spinal cord is one of the most significant parts of the human body in terms of proper function and mobility. It should be immediately noted that because of the critical nature of the spine, caution is in order; the practitioner never hammers directly on the spine. However, if care is exercised, Tok Sen treatment can greatly assist in not just mobility but in relieving tightness, stiffness, and pain connected to compressed tendons precipitated by the boney structures of the spine. 1. First, using the two-legged pestle, hammer the muscles that run vertically along each side of the thoracic spine, taking care not to hammer on the spine itself. Start at the top of the thoracic region and hammer down to the lumbar region. Tap up and down 10 times. Note: If the two-legged pestle is too narrow to span the spine without touching it, use a single pestle and tap each side separately. 2. Next, hammer each side of the spine downward and away from the spine itself, moving and sliding away with each tapping. Doing this properly results in the easing of stiffness and pain not just in the back but also in other regions of the body because of the lines and connections associated with the spine. Source of pain: Lumbar strain and spinal cord inflammation Pain, rigidity, and other problems can be located in the lower back because of stress, heavy lifting, or strains. Thorough treatment of the lumbar area relieves pain and can even assist with problems such as spondylolisthesis (forward displacement of vertebra). But only a highly trained Tok Sen practitioner should undertake the latter. 1. Using a single pestle, hammer 10 times up and down the muscles that run vertically on either side of the lumbar spine. Muscles will loosen and relax. 2. At the base of the lumbar spine, hammer away from the spine on either side out to the edge of the back. The next area treated is the coccyx, or tailbone. In order to determine whether there are problems emanating from the coccyx, careful palpation is necessary.